While the rest of the world has a few days (or, gulp, weeks) to wait for the new iPhone X, Apple has bestowed review units on a few bloggers and vloggers, and their first thoughts have arrived. And surprise, surprise, they’re very positive. The impact on you at home: With a phone like iPhone X, first impressions matter, and Apple clearly wants everyone to know just how cool its new phone really is. 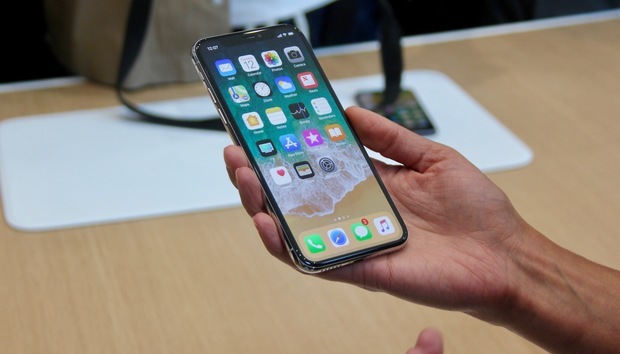 The hand-picked bloggers and vloggers here are a departure from the usual select-group of journalists, so Apple is targeting a very different audience with these first impressions. When the reviews land later this week we’ll have a more technical understanding of its pros and cons, but for now, iPhone X looks like a winner and the first step toward the next smartphone revolution. Longtime tech journalist Steven Levy has the first deep-ish dive into iPhone X over at Wired, and he found it to be “dazzling” and “impressive,” with a screen that “will persistently reassure buyers that emptying their wallets for an iPhone X wasn’t folly.” Levy says the camera/sensor notch at the top of the screen is initially an “aesthetic setback,” but ultimately little more than “a tiny distraction in your peripheral vision that you eventually get past.” And he said while the new gesture-based navigation required “some relearning” but didn’t take long to master. As far as Face ID, Levy notes that the system “pretty much” works, but requires a degree of focus to make sure you’re making the proper eye contact with the sensor. He did, however, note that using Face ID to activate Apple Pay is “a clearer way to do transactions.” He also praised the camera, Animoji, and increased battery life. In a somewhat uncharacteristic move, Apple also invited a handful of YouTube performers to New York City for an exclusive iPhone X hands-on event. Booredatwork.com, Soldier Knows Best, and Highsnobiety have each posted videos of their impressions of the device. All three are enamored with the design and demonstrate Face ID functionality. There were no major gaffes, but Booredatwork.com pointed out that it was a bit of an inconvenience to swipe the screen after Face ID unlocked the device. Like Levy, Soldier Knows Best wasn’t too distracted by the notch, and he found the Face ID setup method to be easier than Touch ID. And he too found Animoji to be fun, if not a bit gimmicky. Additionally, Noah Thomas and Brian Farmer of Highsnobiety found Face ID and Apple Pay to be “so fast now,” and were particularly impressed by the new portrait lighting selfies and AR capabilities.